A Logo is of immense value because it is the public face of a Company. The key values of a business are represented with a logo design and this is why it should be made trustworthy and professional. With an effective logo the sale of a company can greatly improve and every company should know the basic logo design principles that are essential for every company to follow. The goal of a company should be achieving a logo that is simple, versatile, appropriate, memorable and timeless and this is indeed is a difficult task. It is something more than the artistic talent which is required to create a brand or an emblem that is able to capture the attention of the market. For an effective Logo Design every company should follow a few basic principles which are the major criteria to judge whether the logo design would be able to convey the message of the company or the business to its target audience. An effective logo design needs to be simple and made in such a way that it is easily recognizable for all the people who see it. It is important to see that the logo sign is easily identifiable even to people from various cultures and places. The design should be able to overcome the geographical, cultural, educational background and age barriers as well. A logo has to be such that will be able to leave an everlasting impression in the minds of people. With unique design and innovative ideas a logo can be created to help a business carve a niche for it in the international business arena. With effective and unique design a clear message can be delivered very easily to the target audience. Rather than using too many elements it is better to be distinctive and clear. Too many elements crowding over a design will result in a visual noise and the major objective of a Logo that it tries to create, that is its marketing message will be blocked. Logos should have a timeless appeal that would attract the future generations as well. It is obvious that with clarity, distinctiveness and simplicity a logo becomes able to survive over the years and it matches with the tastes of future generations as well. As instances it is the classic designs of the Logos of Mercedes-Benz, Nike and Chanel that have remained subject to appeal to the consumers of all generations. Due to scaling and applicability issues it is better to make use of vector art rather than photography. Using high-definition imaging software logos can be scaled down to a smaller size and this process involves no damage to the design of the logo. With photographs there can be problems of skewed images too. 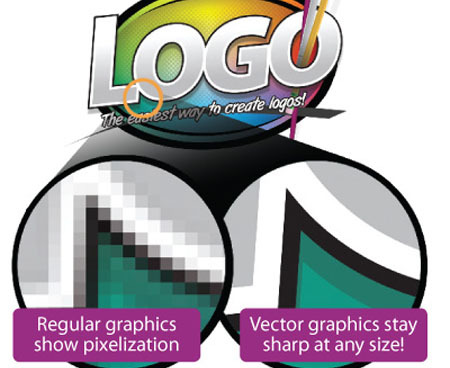 Therefore, when it is about creating images, all logos make use of vector graphics. While designing a logo another big factor is taking care of the fact that how images are getting transferred from one medium to another. Whether it is displaying on a website page or a streamer in public or a poster, the colors of the logo should be the same. For websites as well as for marketing and packaging a Logo created in the vector format can be used. Another essential logo design principle is it should be apt for the intended audience. The meaning of the Logo should be clear to its target audience and the colors, type of font, the vector images all should be matching well with the demographics of the product’s intended market. For instance, fun fonts and bright colors are used in children’s products to create attraction among them; on the other hand explosive movement is often indicated by the sports logos as it reflects athleticism. While creating a logo it should be kept in mind that it is not necessary that the actual services or products of a company or business would be conveyed by it. For instance, it is not necessary to include the picture of a laptop or computer in a software Logo, whereas, a restaurant Logo can use something else other than food as well. There can be various pitfalls in creating a good logo design; therefore, it is wise to employ a professional logo designing company who can develop your ideas in the best possible way once you provide them information about your requirements. Using proper fonts and cohesive colors your logo designer can create a logo that will enhance the brand of your company. Before choosing a logo design company, check out their logo design portfolio. The portfolio showcases the collection of a company’s or an individual’s best of work and this is the best possible way to analyze the work and determine whether you like it or not and whether it is suitable for you or not. A logo design portfolio containing unique and creative logos which are relevant to your field can make you hire their services. Before hiring a logo design company it is also important to check the business standards of the company from their logo design portfolio to understand that they are capable enough to meet your requirements and expectations. If you are working as a logo design reseller it is important for you to create an impressive portfolio with unique Logo Designs which are able to catch the attention of potential clients and motivate them to buy your designs. Before choosing a logo design company, check out their logo design portfolio. 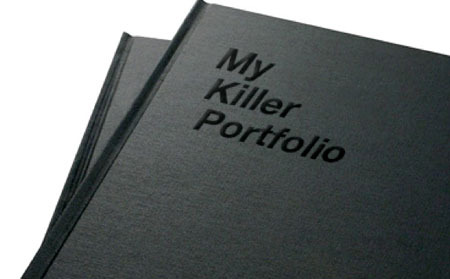 The portfolio showcases the collection of a company’s or an individual’s best of work and this is the best possible way to analyze their work. AJ is an expert Logo Designer who has been rendering a great service in this field for the past 5 years now. She loves to impart her thoughts pertaining Logo Designs and Logo Design Portfolio.In this article he is sharing some valuable information with his readers on essential Logo Design principles.